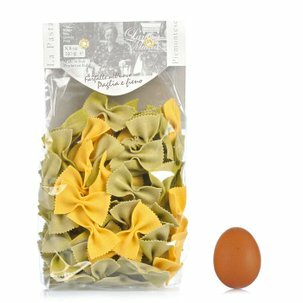 From the culinary tradition of Langhe, Antica Madia makes these farfalle with eggs: an elegant artisan pasta with an intense flavour. 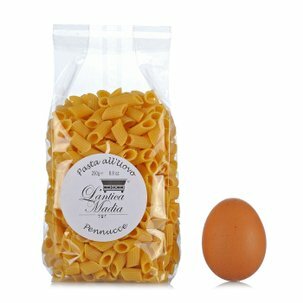 The farfalle made with eggs from Antica Madia are made starting with carefully selected eggs that are mixed together with high quality flour. 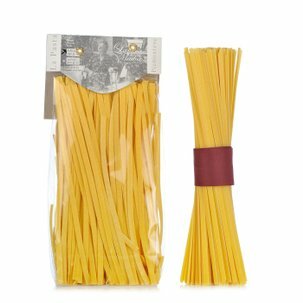 The result is a firm and delicious pasta with a full flavour. 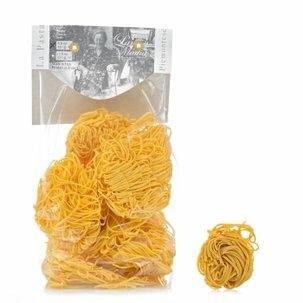 Try them with your favourite sauce: you will serve the true flavour of a special meal.